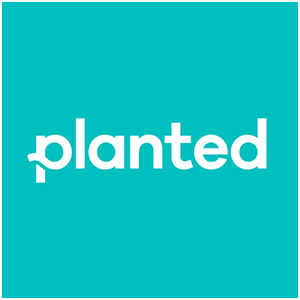 Planted is a curated job search site. Despite the web becoming the primary way in which most people find jobs, there hasn’t been much innovation in job-seeking sites. Most candidates still rely on Craigslist, Indeed, Monster, or some other site that lists job openings in a classified ad-style format. Planted has a new angle on the job search process. The site leads users through a lengthy quiz during the sign-up process, asking candidates about their experiences and what they’re looking for in a job. After the information has been filled out, Planted returns a list of positions that best fit a candidates skills and desires. Planted also sends a daily list of curated jobs to each candidate, so you don’t have to spend time searching on your own. Planted primarily hosts job listings for startups and technology companies. However, it differentiates itself by offering non-technical roles. If you want to be a customer service representative or a marketing guru, Planted probably has the job for you. If your job desires are more specific, it might be more difficult to find an opening on the platform. The biggest limitation is definitely the amount of job listings available, as well as the type of positions offered. Still, the site partners with several growing companies, and if you’re really in the job hunt, browsing the site can’t hurt. It’s a new way to find new jobs in a difficult marketplace, and to make things even easier, Planted also has a mobile app so you can apply to jobs from your phone.